Drew grew up in an 1890 Folk Victorian house outside of Nashville, a house he has helped his parents renovate since he was 5 years old. The house is a favorite place for his immediate and extended family and influenced Drew’s decision to pursue a career in architecture. One day they hope to call this project complete. He is a graduate of Auburn University’s School of Architecture, studied abroad in Rome, and attended Auburn’s famed Rural Studio. 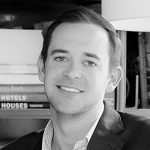 Following graduation, Drew returned to his native Nashville to work for a residential architect, concentrating in renovation and additions to historic houses. He particularly enjoyed the opportunity to document some significant historic houses around Nashville and the state. In his spare time, Drew enjoys traveling, planning his next home improvement project, and spending time at the lake with his family. Drew can be reached at our Nashville office.